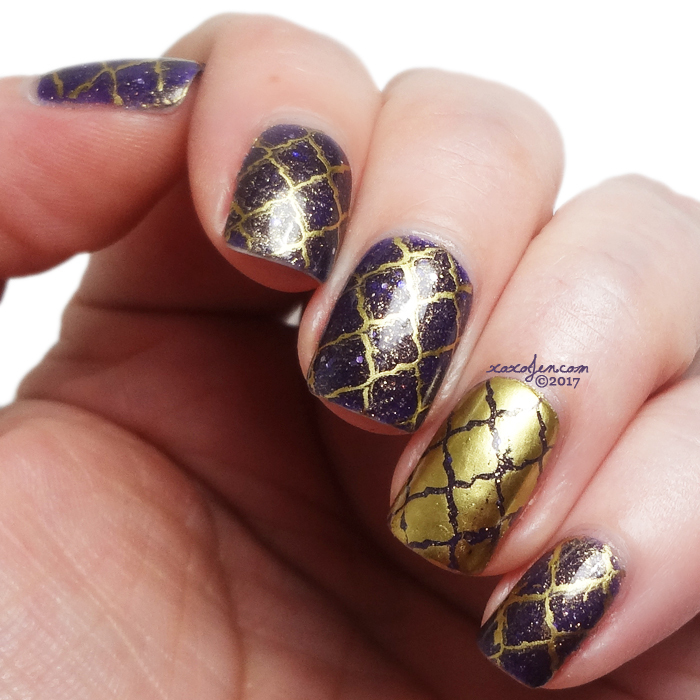 I thought it might be fun to see whether polish aficionados can guess what polish is on my nails, so I posted the following two images on my facebook page with a promise of revealing it in my review. Can you guess before you scroll down to see? If you guessed LA Colors Treasure Chest (#800) you're correct! I purchased this myself at Dollar Tree. Who knew there was a hidden treasure for such a low cost? I've been wearing it for a few days now and so far the wear is great. 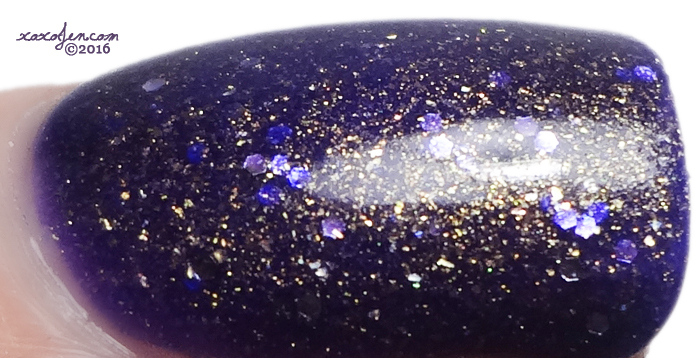 I used two coats of polish and then put my base coat on top of it and then Clearly On Top from KBShimmer to help smooth the slightly textured surface. Just look how the gold shimmer sparkles and the small glitter kind of hides and then pops out from behind the shimmer! And that base, purple can never go wrong! And Nail art!! 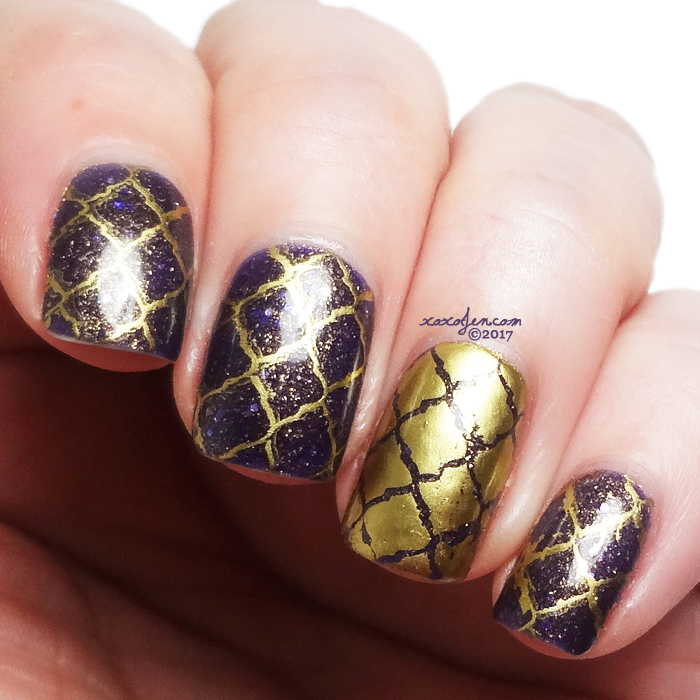 Stamping with VL043 my custom plate, a clear stamper from Aliexpress, and MDU Gold stamping polish. My stamping job is not perfect, but I'm happy with it. I hope you enjoyed the fun game - did you guess correctly? The polish is oh so pretty!